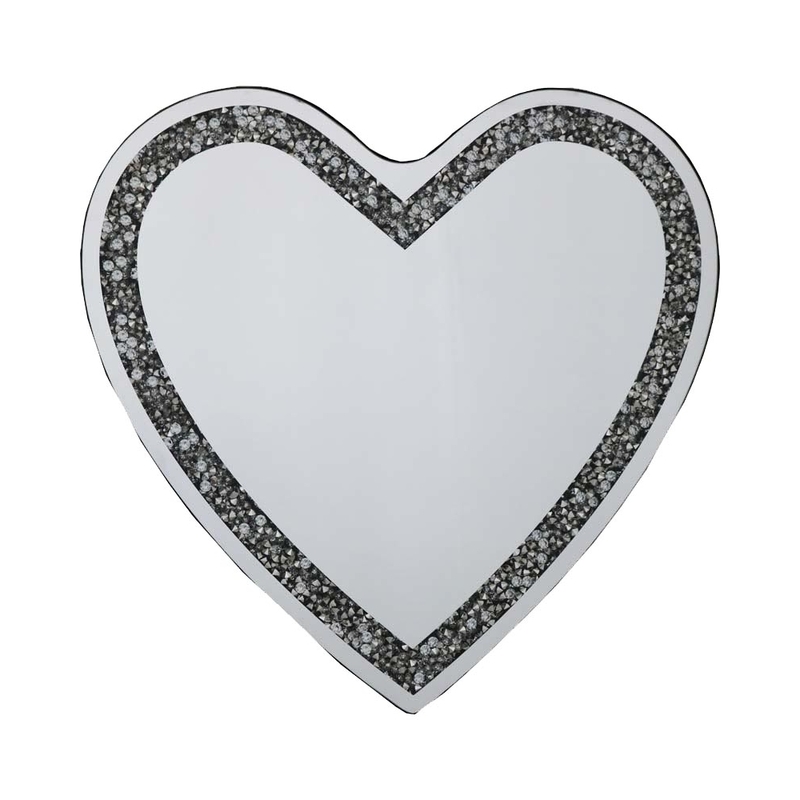 This is a beautiful and cute heart shaped mirror. This mirror is stunning and could be perfect in your home. The heart shaped mirror is decorated on the exterior with borders filled shining diamond crystals. The beautiful mirror is made of mirrored glass and MDF. The mirror has a modern and contemporary feeling to it which could be a perfect addition to your home.